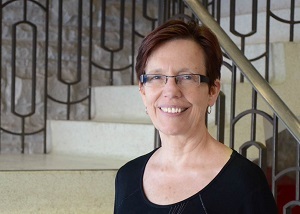 Barb MacQuarrie is the Community Director of the Centre for Research and Education on Violence against Women & Children in the Faculty of Education at the Western University. She develops and promotes evidence based education and prevention initiatives involving both community-based and university-based partners. Barb has presented to a wide variety of audiences locally, nationally and internationally about gendered violence and strategies to address it. She has co-authored publications and produced videos and online trainings on gendered workplace violence and harassment, domestic violence risk assessment and management, sexual violence, violence in the lives of girls, and violence on college and university campuses. Barb manages several provincial and national public education campaign and training programs. She holds a Social Sciences and Humanities Research Council grant to study the impact of violence on workers and the workplace. She is a member of the Board of Directors for the Muslim Resource Centre for Social Support & Integration. Barb is a recipient of the Order of Ontario, the province’s highest official honour, recognizing individual excellence and achievement.